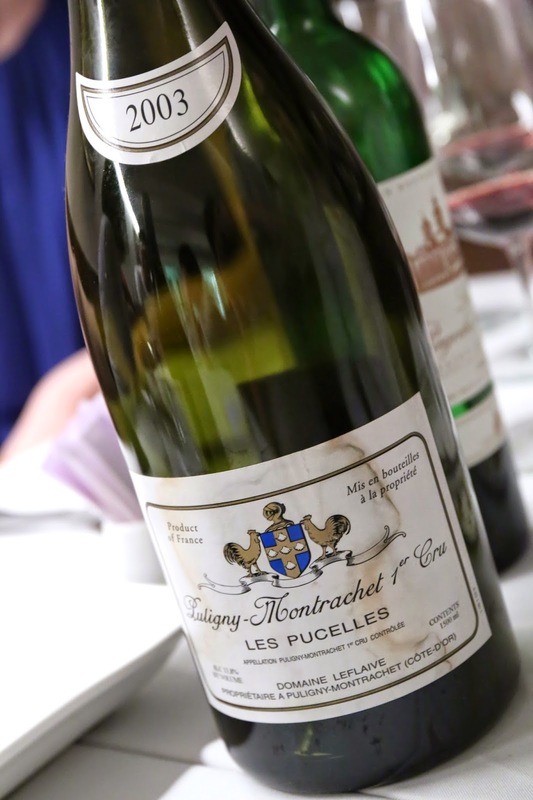 2003 Domaine Leflaive Puligny-Montrachet 1er Cru Les Pucelles en magnum - familiar nose of toasty oak, very nice on the nose. Slightly flat on palate at first, with some sweet ripeness but short finish. Relatively thick and viscous in texture, rounded on the palate. Pretty enjoyable wine. 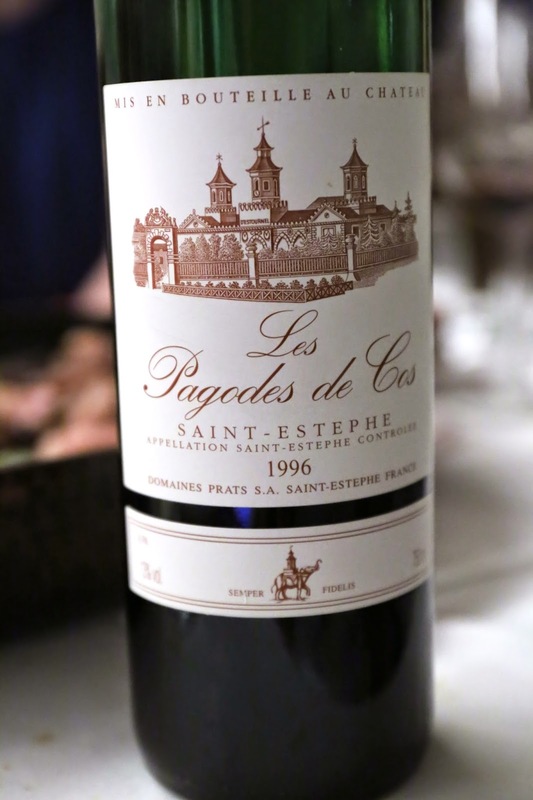 1996 Les Pagodes de Cos - smoky, minty, a little earthy, a little brett, pencil lead. Drinking exactly as it's supposed to. 2012 Sadie Family 'T Voetpad - a very interesting blend of Semillon, Palomino, Chenin Blanc and Muscat de Alexandrie, from old vines planted between 1900 and 1928. Cleaner and leaner on the palate, with lemon citrus and good minerality.